Thank you very much for your kind words. 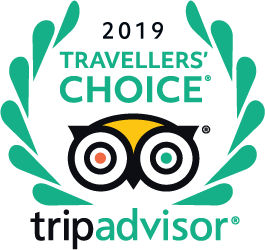 We value being able to host such wonderful guests as yourselves, and we hope that all of your experiences here in Cusco are warm ones. If you ever come this way again, please count on us for whatever you may need. Happy travels! How long does it take to get from Lizzy Wasi to the town of Ollantytambo? About 30 minutes to the train station. 1. Is there an airport transfer and is it free? 2. If want to do private group tours in Sacred Valley, can we book in Urubama? Lizzy Wasi can arrange safe transport for you from the airport to her hotel. Cos is around $45 USD if I remember correctly. She also put us in contact with Bryan who is a certified tour guide and he took us to all the sights over two days. I think the cost was about $120 USD per day, or thereabouts, including transport. Staff at Lizzy Wasi is fantastic. Enjoy! Hi, we're staying at Hotel Lizzy Wasi in early June and would like to know if you have any laundry facility or service on the property? It would help us decide how many change of clothes to bring. Thank you! Hey. When I stayed there with a large group we were able to get our laundry done. It didn't cost much extra (I think a dollar per kg) and the clothes were washed and dried and even ironed and returned to us the same day or early next. Hi, I will be staying here after hiking the inca trail for 3 nights and have two days to plan activities in the area. What would you recommend? Hello, There are lots of activities to do here in the Valley, from zip lining, or ATV tours, or horseback riding, to visiting the many arqueological sites such as Ollantatyambo, Maras, Moray, or Chinchero, to also visiting some of the more off the beaten track places such as Naupa Misayoc. You can also visit the Seminario Ceramic factory which is close by Lizzy Wasi. How are deposits for reservations typically made? Did you feel this was a secure method? To be honest I can't remember how we made the deposit whether it was through Paypal or other. I know that Elizabeth and Bill are wonderful people and that we had no problem making our deposit. "Demander une chambre avec vue sur le jardin ...."